It’s the school holidays and we recently had some friends over for morining tea, so W and I made a double mixture of doughnuts. We have a doughnut maker. I’m not one for space-taking, one-use appliances so imagine my horror when Fraser came home from a Briscoes sale with THIS – a silly pink thing (which looks like a giant cervix to me). Initially, I was not impressed, however I’ve come to love our example of ridiculous first world indulgence useful appliance. The mixture required is pretty much the same ingredients as pikelets…with a little extra butter, and the doughnut maker steams the doughnuts, rather than deep-frying, so I tell myself, while not health food, it is no worse than a batch of pikelets. We make the doughnuts for breakfast on weekends occasionally and serve them un-iced. 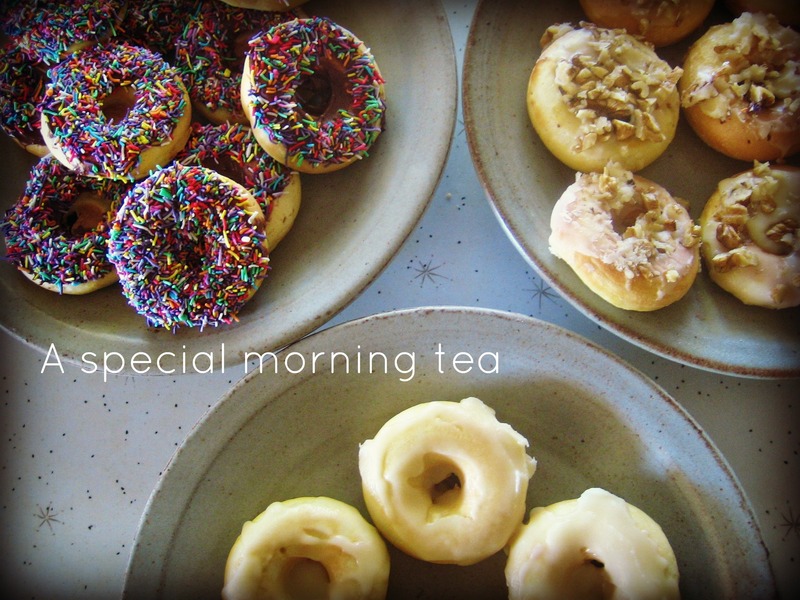 For this special morning-tea, though, we went crazy with icing. We made a ridiculous amount thinking that we’d have lots left over for Fraser’s afternoon tea and perhaps the next day….but over the course of a five hour play-date, all but one got eaten. 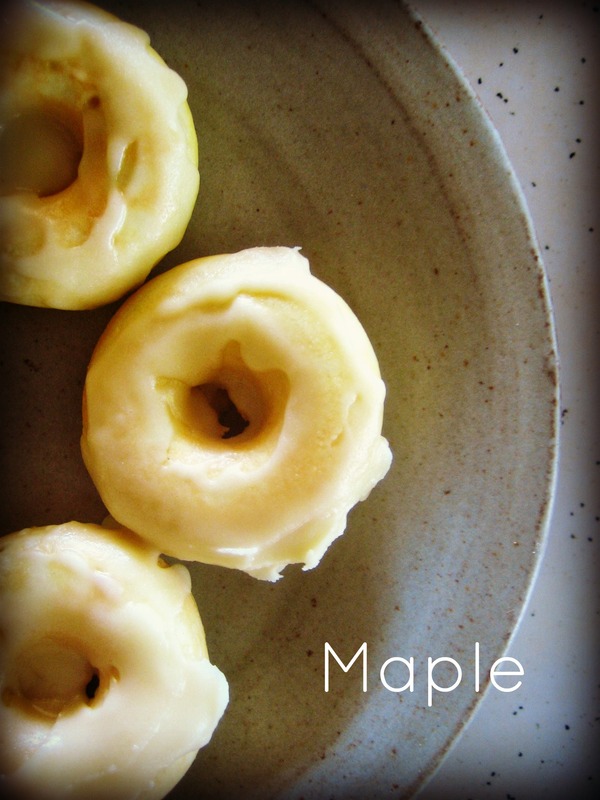 I made the maple/walnut onesfor the adults….but eventually the kids ran out of the other flavours and turned to the maple/walnut and of course – they picked all the walnuts off….the fresh, organic, locally-grown walnuts which I lovingly hand-shelled. Pah. Ingrates! Younger, punkier me would be soooo indignant that I now own a pink doughnut maker and take pride in baking…what can I say? With children comes all kinds of changes that you could never foresee….including the ownership of silly pink appliances, a spot of apron-wearing and the joy in a bunch of kids scoffing cake and making mandarin juice at a messy table. Isa and Niamh say yum yum yum. Sounds like the perfect play date! I do wish they didn’t make these machines look so stupid though, so I would feel like less of a dork buying them. Ha ha, yes, funny how our wants become our needs…especially when there are doughnuts involved! Can you get this out next time we visit!!!? 🙂 Yum. 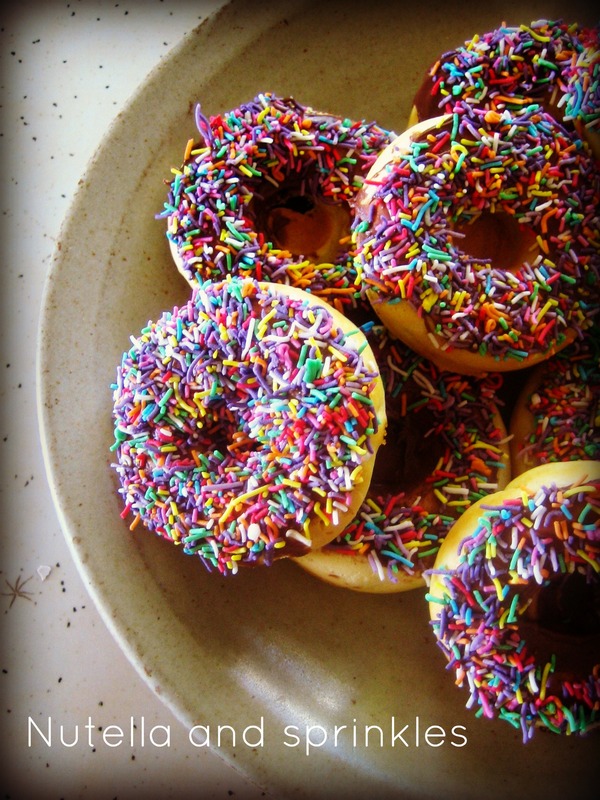 Though not really a cakey type, doughnuts are the sweet thing that I’ll inhale until I’m groaning on the floor. 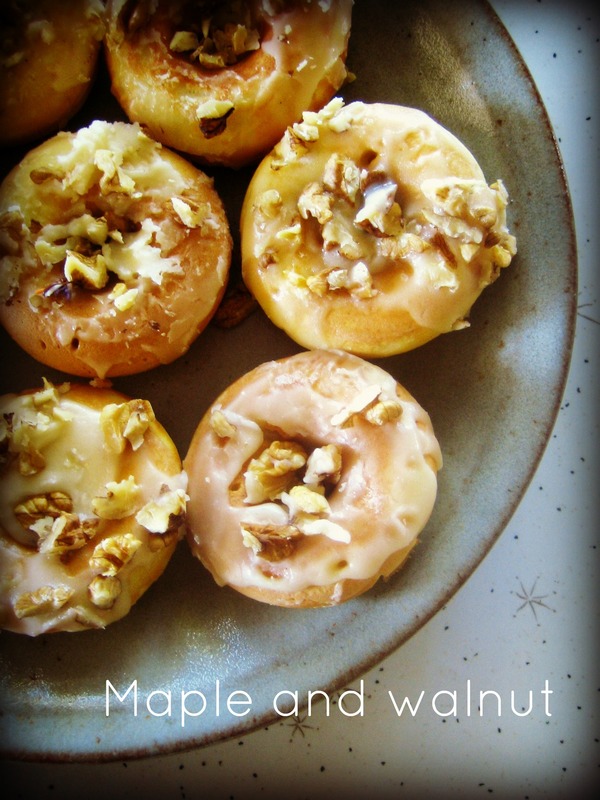 I would have run away with the maple ones and not thrown away the walnuts and also not shared. I’m in envy of your pink machine. And your children.